The versatile Randell began his career as an apprentice at Coventry City but it was three years before he made his professional debut, after moving to Home Park. 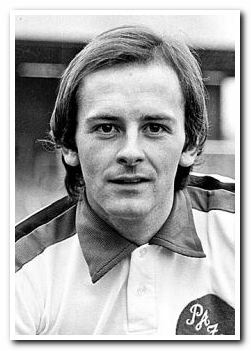 He was an integral part of the team that reached the League Cup Semi-Final in 1974 and won promotion to Division Two the following year. Falling out of favour after Mike Kelly took over, Randell left Argyle for Exeter, where his former Argyle team-mate Bobby Saxton was manager. He returned to Home Park when Saxton was appointed as Argyle's manager in 1979, and once again established himself as a regular in the first team. After three more seasons he followed Saxton to Blackburn Rovers, where he was a consistent performer for three years. Following a loan spell with Newport County he ended his professional career with Swansea City and went on to play for and manage Briton Ferry Athletic. 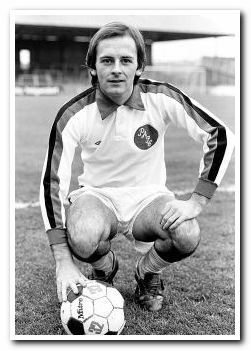 Interestingly, the first person to spot Colin Randell's potential as a schoolboy was Argyle's former manager and ace talent-spotter Ellis Stuttard. However, at that time Ellis was Arsenal's chief scout but could not persuade Randell's parents that their son's future lay at Highbury. They chose Coventry as they felt he had more chance of an early introduction to first team football. As it happens he never made the first team at Coventry and played his first senior game for Argyle four years after turning professional.